Found this image in my archives. 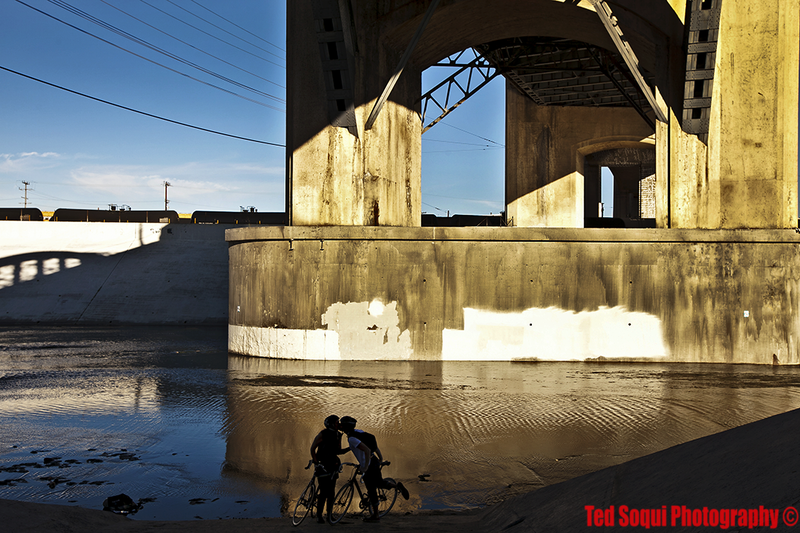 A pair of cyclist share a kiss under L.A.'s iconic 6th Street Bridge which is scheduled to be torn down this month. The city will replace the bridge with a newer more modern design.